Mountaineering or climbing boots must protect from the cold, wet and rugged mountain environments that attract alpinists and mountaineers. 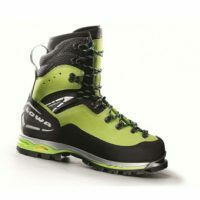 The boots must also provide hiking ability for the lower slopes, and a solid base for crampon use and more vertical ascent as the angle increases and temperatures drop. Durability is a primary concern; failure of footwear in conditions typical to alpinists and mountaineers would be catastrophic. 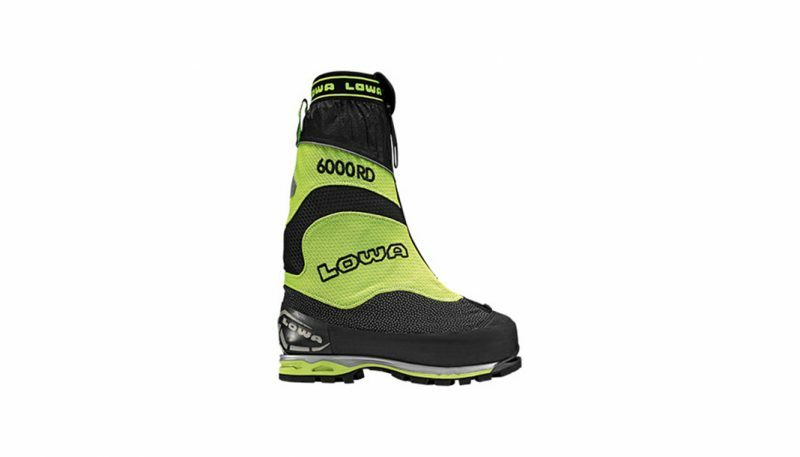 Lowa’s Expedition 6000 EVO RD is well suited for climbing moderate to technical routes in cold weather like Alaska, Himalayas and Peru. But with an inner bootie that is slow to dry, this is not the boot to have on wet routes when ample drying time is not available. 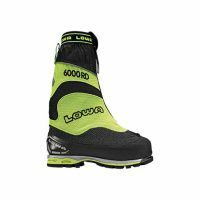 If you are looking for a boot than can handle anything the alpine world can throw at you, the Lowa Weisshorn GTX is a great all arounder. 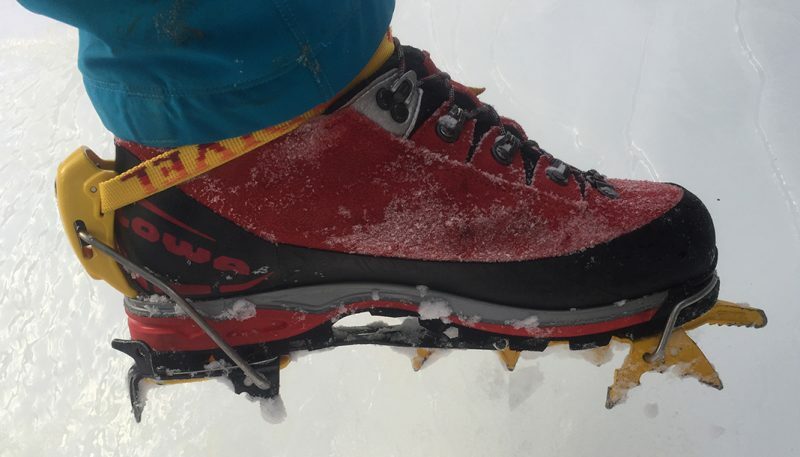 The boot may not be purpose built for vertical ice or overhanging dry tooling endeavors, but perfect for climbing Mt. Rainier, winter gullies in the Colorado or Canadian Rockies, or summer peaks across the Alps. What is a Mountaineering or Climbing Boot? Historically mountaineering or climbing boots were divided between “doubles” and “singles.” Double boots used a hard plastic outer shell and a separate insulating inner bootie—many having inner bootie options that offered different levels of insulation. Although these climbing boots are still in the market, brands have focused development on improving singles (boots without a removable inner bootie) and developing double boots that use a softer outer shell material. These singles and modern doubles offer less bulk and total weight while commonly providing an advantage in ankle flexibility and comfort. The choice of mountain boots centers on specific demands of the proposed objectives. High altitude boots provide the most insulating value but are the bulkiest, heaviest, and most expensive. Some brands include an attached gaiter or overboot that further increases thermal value and resistance to water. 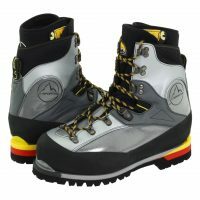 This category of mountain boot is the most likely to have double boot construction. Such boots are typically destined for climbing at elevations above 20,000 feet. 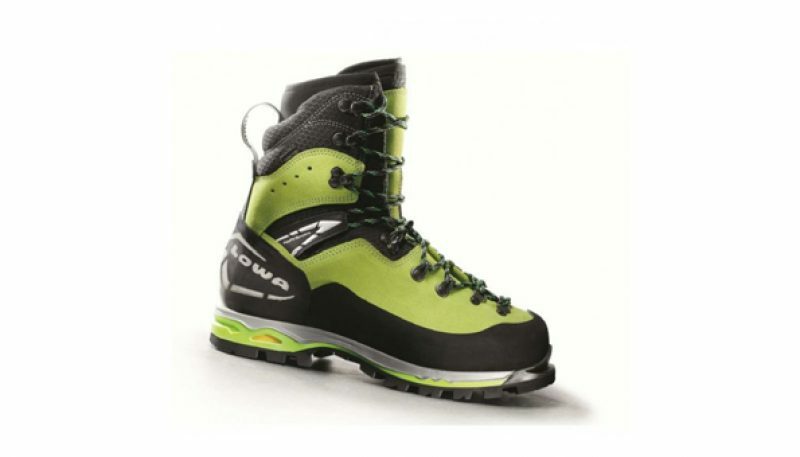 Insulating value, weight, bulk, and price fall from there as the boots are designed for lower altitude objectives and the less frigid environments. Boot stiffness also changes along a scale; stiffer boots can perform better as the angle of the climb steepens. 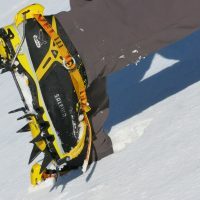 Typically, crampon frontpoint use, edging and jamming improve as the stiffness increases, but walking ability and hiking comfort often decrease. The stiffness of both the midsole and the upper contribute to these abilities, the combination of these factors lending a large part to the boot’s overall feel. Crampon compatibility is also a concern when choosing mountain boots and some of this hinges on boot stiffness. Crampons customarily attach to boots in one of three ways: strap-on on type on both the toe and heel of the boot, semi-automatic/step-in hybrid (toe is strap-on, the heel is automatic/step-in) and fully automatic/step-in. The compatibility mostly depends on the availability of a lip at the toe and heel of the boot for crampon toe bails and heel levers. 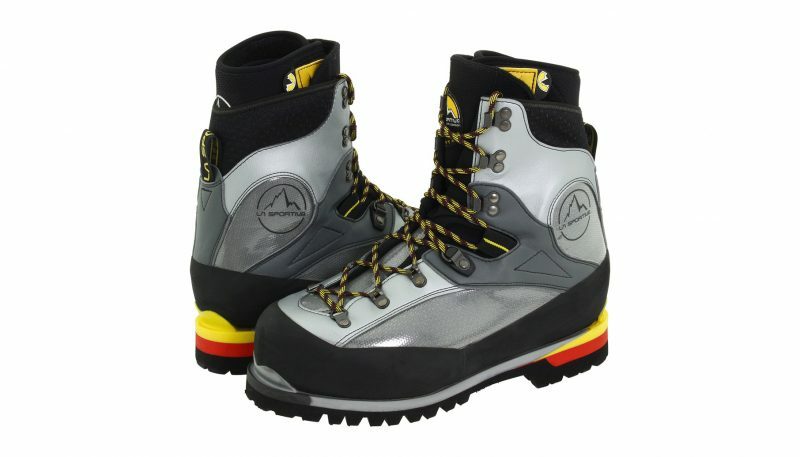 Sole stiffness is also an issue; crampons designed for general glacier travel are flexible and thus work best with relatively flexible soles. Crampons designed for mountaineering, alpine climbing, and ice climbing are semi-rigid and work best when combined with mountain boots that possess stiffer soles. A handful of boots designed specifically for hard ice, mixed climbing, and dry tooling have also entered the marketplace. 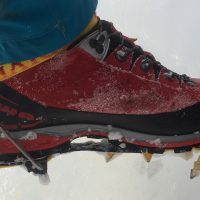 These boots are for these modes of climbing only; the crampons are usually directly bolted to a completely inflexible sole. Climbing boots have made great strides that have resulted in lighter, less bulky and more nimble boots that remain warm and dry. Brands are still selling plastic double boots, but their development has slowed dramatically, and the advancements in material technology and construction methods have allowed single boots and double boots made of softer materials to maintain the insulative value and protection while improving other criteria.